Volunteering your time on an Archaeology project in Latin America and the Caribbean is a wonderful way to learn more about ancient Inca culture and gain practical experience in the field. You do not need a background in archaeology to participate. You do not even need to speak the local language where you are volunteering. The Archaeology program is open to all volunteers whether you are on a gap year, career break, or looking for a unique and worthwhile summer experience. 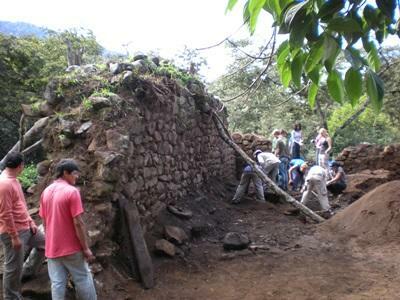 In Latin America and the Caribbean, Archaeology volunteers work alongside local archaeologists, undertaking a combination of archaeological, community, and agricultural work. 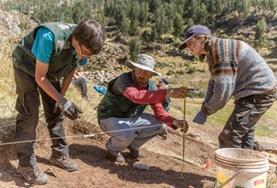 In terms of the archaeological work, volunteers’ main area of focus will be on the investigation and mapping of the ancient Inca road network in the Lucumayo area. Volunteers also have the opportunity to give back to the community through meaningful projects. In the past, volunteers have been involved with working with the local kindergartens, creating a library, assisting with dental health campaigns, building greenhouses, setting up nutrition programs, building ecological stoves, and introducing new crops to diversify the agricultural production.